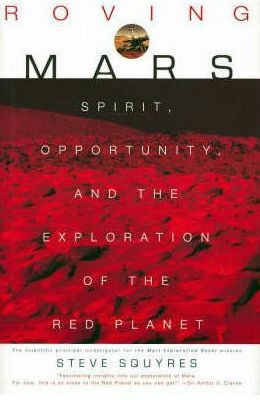 Roving Mars – written by Steve Squyres and published in 2005. It’s the age-old question: Is there life on Mars? Steve Squyres, lead scientist of NASA’s Mars Exploration Rover mission, sets out to answer that question and relates his findings in this riveting first-person narrative account, Steve Squyres is the face and voice of NASA’s Mars Exploration Rover mission. Squyres dreamed up the mission in 1987, saw it through from conception in 1995 to a successful landing in 2004, and serves as the principal scientist of its $400 million payload. He has gained a rare inside look at what it took for Rovers Spirit and Opportunity to land on the red planet in January 2004 — and knows firsthand their findings.